It seems nearly every day we hear of a new virus or cyber attack, sometimes even against what we would imagine to be the largest, most security conscious companies. A shortage of skilled security experts hampers companies with the best intentions. The prevalence of mobile devices has added to security concerns. The growing reliance on cloud applications creates new vulnerabilities. Cyber criminals are successfully targeting the Internet of Things (IoT). What is IT security as a service? Companies can outsource their IT security to a managed security service provider (MSSP) who will provide enterprise level cybersecurity protection for a company’s IT infrastructure at a fixed monthly cost. 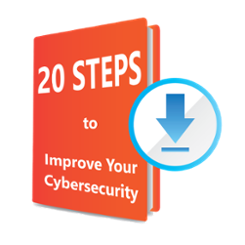 This can be more cost effective for small- and medium-sized businesses than maintaining in-house staff to design, implement, and manage security for the organization. Savvy business owners understand the importance of protecting mission critical applications. It is imperative to protect the business with the right cybersecurity solutions; otherwise, the business will suffer. This often requires documentation of policies, development of processes, and investments in new technologies, a challenge even for companies with their own IT department. Many organizations may not have the time, money, or resources to implement and support enterprise level security solutions for data loss prevention. Protecting the business from security threats can be difficult for businesses of any size. This can be related to you and your staff or your clients. Keep in mind that you don’t need to have complete files to have rich targets. The information that you have on your customers can be added to other sources. If you supply large corporations that have sophisticated cybersecurity defenses, the easiest way to get to their data is through your systems. Corporate financial information, bank account information, and credit card information are all high value targets. Cyber intruders frequently hijack corporate computing assets in order to create large pools of computing resources for their own use. What can you expect in a managed security services provider (MSSP)? Companies struggling with security challenges can leverage the services of an MSSP to gain access to the right expertise and personnel, an endeavor that would be cost prohibitive to replicate in-house. An MSSP can offer you cybersecurity solutions that range from purely reactive notification to a more full featured proactive service where threats are hunted and remediated. By working with an MSSP partner, you can stay on top of the security iceberg, focusing first on what provides the greatest value for your company, and attacking other aspects of security as needed. For many organizations, the very tip of the security iceberg begins with filling in that compliance checkbox. But it should never stop there. Your MSSP partner should work with you to define an acceptable risk level for your business leaders, and then implement the necessary controls. Today’s workplace is often highly distributed and heterogenous. Over time, companies will implement new systems, retaining the old systems or retiring them. As the company grows and evolves, systems change. If your security solution stays the same your infrastructure will end up vulnerable. Your MSSP should work with you collaboratively to uncover underlying IT security issues on an ongoing basis, always working to put the best solutions in place for you. Why should you trust Corserva to provide network security as a service? Protecting corporate data from theft and preventing disruptions to a business are key concerns for corporations and their IT departments. Data confidentiality, integrity, and availability are competitive advantages that will ensure your organization remains successful when others succumb to costly interruptions. You can rely on cybersecurity services from Corserva to safeguard your business and enable your team to focus on business matters, not operational issues. Security is not a shopping cart. Corserva can provide a custom solution that meets your company’s specific needs. When you partner with Corserva, we develop a security strategy to meet the needs of your business, following best practices and employing the appropriate incident, event management, and security tools. Corserva provides a simple solution to the complicated problem of defending against attack. With Corserva, all parts of the network (applications, WLAN/LAN, IoT, and cloud) are protected. You get the protection you need within an all-inclusive monthly fee. more than firewalls, patch updates, and anti-virus. You can’t protect what you don’t know you have. A complete inventory of your information technology assets, and one that is kept up to date as the network changes, is critical in protecting your network. The integrated internal vulnerability scanning of our security solution identifies IT assets with unpatched software, insecure configurations, and other risks on your network. By testing the network for potential issues and continuously monitoring the network, we can identify new weaknesses on your network. Staying abreast of vulnerabilities means faster remediation of potential issues. This monitoring enables us to investigate suspicious activity and perform remediation quicker than otherwise possible. These technologies alert us to unauthorized modification of system files, configuration files, or content. Collecting log files and analyzing them is at the heart of the solution. We can accurately identify, contain, and remediate threats in your network. The built-in security intelligence combined with our expertise in correlating the applicable log data enables us to identify policy violations and respond appropriately. Corserva’s cybersecurity solutions protect the corporation from both malicious attacks and potentially risky behaviors originating inside the network.